After an MA in Modern History & English from St. Edmund Hall, Oxford University, and a Masters in Music Performance from Birmingham Conservatoire, Julia White gained her Postgraduate Advanced Diploma with distinction from Trinity College of Music, London (now Trinity Laban), and was subsequently a Junior Fellow at the college. During her studies, she was awarded the Wilfred Hambleton Chamber Music Prize, and was selected for the BBC Concert Orchestra Mentor Scheme. She has since been invited back to Trinity College of Music to give a masterclass with the oboe students there, and has also been appointed external assessor for oboe recitals at Leeds College of Music. On completing her studies, Julia played with Santiago Philharmonic Orchestra, Chile on cor anglais and oboe, first as a guest soloist, and then as a permanent member of the orchestra. Here she gained wide experience of the opera, ballet and symphonic repertoire; most notably she played the extended cor anglais solos in Wagner’s Tristan and Isolde, receiving excellent reviews in the Chilean national press. She now freelances in orchestras in London and further afield. For details of upcoming performances, please see the concerts page. She regularly works as a session musician, and has recorded for Britz, a Channel 4 drama, for Solar Music (music for TV ads), composer Tanera Dawkins (music for Scandinavian TV) and Ex Animo productions (music for short film). CD and DVD recordings include The World of the Oboe on the Oboe Classics label, operatic arias with internationally renowned tenor Ian Storey and Sinfonia Musicisti, and works for narrator and orchestra for Sinfonia Musicisti. Julia also recorded the demo tracks arranged by Solar Music to accompany the collection of oboe pieces Microjazz Oboe by Christopher Norton. In her performance of the Strauss Oboe Concerto in St. John’s, Smith Square, London, she was described as ‘an ideal interpreter’ of the work: ‘This was a most assured performance, full of warm lyricism and dazzling virtuosity’ – Bob Briggs, Music Web International. Her chamber music performances include a collaboration with the Carducci Quartet, and as soloist with string principals from Santiago Philharmonic Orchestra. 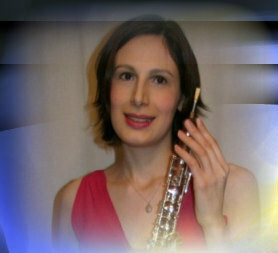 With Illume flute, oboe and piano trio, and Absolute oboe and guitar duo (see Chamber Music) she performs across the UK. She is experienced in providing interactive music for frail/ill elderly people and people with mental health problems, and gives concerts in hospitals and nursing homes as part of the Music in Hospitals and ARCH schemes. Julia plays on a Kingwood XL oboe made by Howarth of London, and presented to her by the Cherubim Trust. For further information on Julia's orchestral experience, please click here to view her profile at Morgensterns Diary Service. For audio clips of Julia's playing, please click here. "A stunning opening...a wonderful recital"